Who is Tor de Vries? I am an award-winning designer with significant, decades-long experience in print and digital design, as well as in communications, marketing, nonprofits, international health, higher education, and religious organizations. With substantial programming and IT experience, I am a unique blend of artistic, business, and technology disciplines. This portfolio displays a selection from my years of work. For nearly 13 years, I was the Web Producer & Art Director at EngenderHealth, a leading international women’s health organization with offices around the world. Before that, I worked in corporate marketing and design for Fortune 500 companies and “dot-com” startups. I earned a Master of Fine Arts (MFA) in Design & Technology from Parsons School of Design, where I also taught undergraduate graphic design. Today, I am an instructor in the Digital Technology & Culture (DTC) program at Washington State University. Elsewhere on the internet, I am And I’m the Dad: a “dad blogger” with 12,000+ Tumblr followers (all organic!) 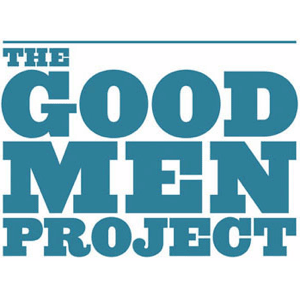 who has been profiled by Mashable, PR Newswire, and others, and who has contributed to The Good Men Project, Fatherly, and Medium. All original content on this site is copyrighted by Tor de Vries. Some items, including but not limited to logos, photographs, and user interfaces, are the intellectual property of the corporation for whom I produced it, and I make no claim otherwise. They are presented here solely for the purposes of my design portfolio.